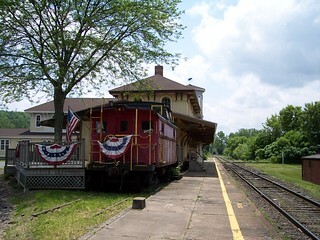 The former Canaan station and platform. 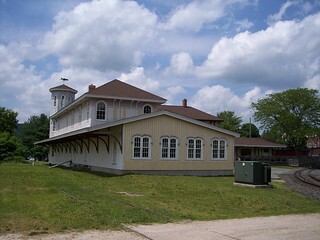 The station was recently rebuilt after a fire. 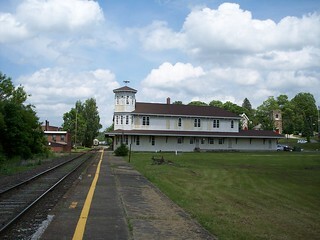 An old light post still remains along the platform. 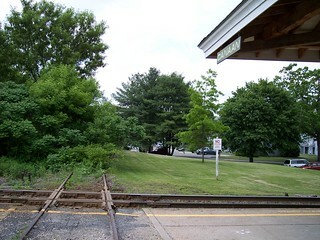 At one time the station also served a perpendicular track, part of which can still be seen in the foreground. 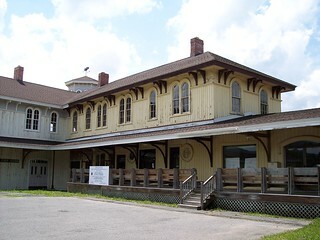 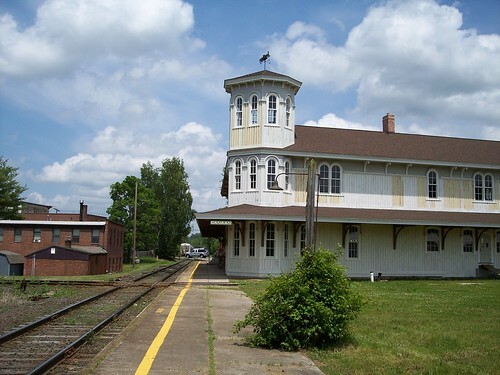 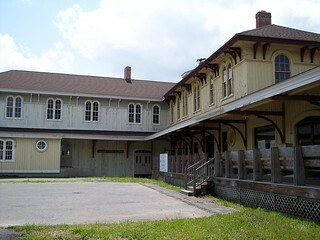 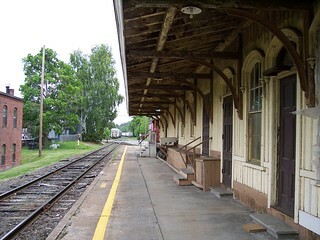 The left side of the station was rebuilt while the right side is the original structure. 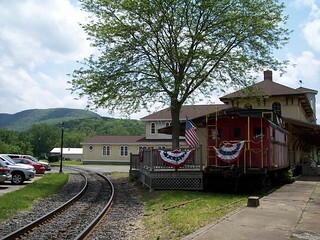 The view of the station from the north.. 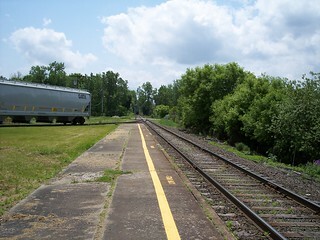 The remains of the perpendicular track at the station.